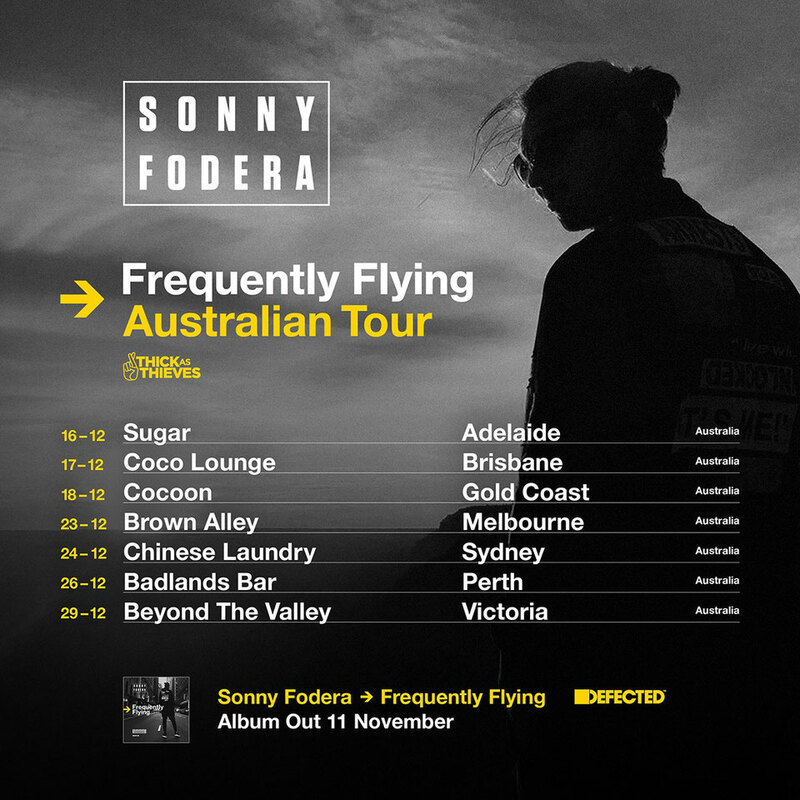 Australian Sonny Fodera’s career has risen well in the past few years. His compilation album on Defected Records, alongside his productions on labels like Green Velvet's Cajual Records, Seth Troxler's Visionquest label and more, has helped to raise his profile with dance music. Originally inspired by the 4/4 groove of Derrick Carter, his bassline-driven house has seen him play gigs around the world. The beginning of 2016 saw him embark on a 30-date tour across the UK and USA, which will conclude with seven home-coming shows in Australia this December. This year has been a big year for Fodera: A Beatport number one; his debut BBC Radio 1 Essential Mix; the upcoming release of his third studio album ‘Frequently Flying’ on Defected, and upcoming EPs on Cajual Records, and Lee Foss’ new imprint Repopulate Mars. Born in Adelaide, Australia his career has taken him all over the world where he has lived in Ibiza, USA and to his current home in London. His discography is impressive, two albums and a string of EPs and singles on labels like Cajul Records, Visionquest, Saura and Defected. Most notably was his 2014 collaboration with Cervendos that sat in the Beatport deep house top ten for 12 weeks and to this day Fodera has seen six of his singles make the Top Ten. His compilations on Defected and Deep Down have proven popular and his latest entry to the 2016 Defected in the House album, ‘Feeling U (Deep Mix)’ feat. Yasmin shot straight to #2 on the Beatport chart. 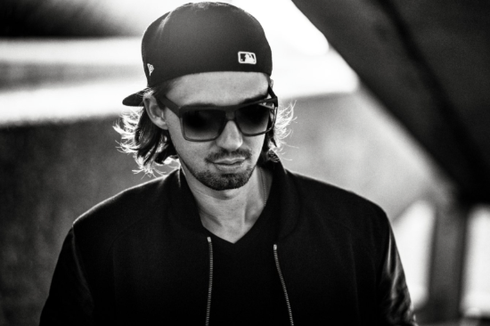 2016 found him holding a summer residency at Sankeys Ibiza and he also played some of the biggest festivals in the world including Hideout Croatia, Creamfields UK and EDC Las Vegas. He also has recorded his inaugural BBC Radio 1 Essential Mix and was nominated in the DJ Awards Deep House category and gained a Beatport overall #1 for his remix of 'Take It Easy' by Gershon Jackson. To top it off, his third album ‘Frequently Flying’ just got released on Defected, promising to be a "true representation of Sonny and his maturing, heavily song-led sound, featuring collaborations with Yasmin, Janai, Shannon Saunders, Alex Mills and more".